Two-thirds of Americans are now overweight or obese, yet we desperately want to be fit. We often blame a lack of willpower, but there’s much more to the story. We confront a variety of discouraging obstacles on the road to fitness. Heredity, hormonal imbalances, stress, a lack of energy, the ubiquity of junk food, and a culture that demands long periods of sitting—it all stands in the way of having the body we want. People who are physically inactive can lose as much as 5 percent of their muscle mass per decade after age 30. One of the most accessible and effective strategies for overcoming these roadblocks is building muscle. Muscle building and strength training are activities available to everyone. Muscle is virtually free, yet incredibly precious because you have to work for it. Unlike fat, muscle is hard to acquire and hard to maintain, but so easy to lose. For example, astronauts can lose muscle and bone mass after just a few days in space. The body becomes weak when it is no longer subject to the constant pull of gravity. Though not as extreme, a similar process of muscle degradation happens back on Earth. If your day is primarily spent in front of a desk, on a couch, or behind a steering wheel, your muscles aren’t getting the stimulation they need to stay healthy. And it only gets worse with time. People who are physically inactive can lose as much as 5 percent of their muscle mass per decade after age 30. Weight loss strategies that shed pounds through water and muscle weight trigger a vicious cycle sure to create more fat. Muscles grow when they’re met with a challenge. When we repeatedly lift a weight or do enough pushups, working beyond what is comfortable, it causes minor trauma and injury in the muscle tissue. The body adapts in response to this trauma by forging muscle fibers that are stronger, thicker, and more resilient. The Hidden Ab Muscle That Will Get You a Six Pack! In addition to brute strength, building muscle requires adequate rest. Once you’ve worked your muscles to their limit, they need some time to repair and recover. That’s why seasoned lifters schedule a day or two off in their training regimen. Exercises designed to increase muscle mass have been around since the earliest known civilizations. Ancient Chinese soldiers were required to do strength training, and athletes from many old cultures lifted stones, sandbags, and other heavy objects in pursuit of a more powerful body. Since at least ancient Greece, the broad shoulders, slim waist, and other well-developed musculature depicted in old statues and paintings has been the ideal aesthetic for a healthy physique. But building muscles doesn’t just make us look better; it may also contribute to our internal health. Studies find that increased lean body mass can help prevent insulin resistance (Type 2 diabetes), rheumatoid arthritis, Alzheimer’s disease, and other diseases linked to systemic inflammation. Building muscle has a practical side, too. The stronger you become, the better you can meet the physical demands of life—shoveling snow, moving furniture, and lifting a toddler, without throwing your back out. Muscle plays a key role in ensuring sustainable weight loss. Experts warn that those who follow deprivation diets, and other short-sighted weight loss strategies that ignore the importance of muscle, typically see their lost weight return. According to biochemist Dr. Barry Sears, weight loss strategies that shed pounds through water and muscle weight trigger a vicious cycle sure to create more fat. “With less muscle mass after weight loss, if you increase your intake of calories, less of them get converted to energy and more of them are stored as fat,” said Sears, who is the creator of the popular Zone Diet. When we lose muscle mass, it lowers our basal metabolism—the rate at which we burn calories while at rest. Part of muscle’s magic is found in the impact this tissue has on our metabolism. Muscle mass converts calories to energy. This means that developed muscles encourage us to move, and activity means you’re burning more calories. But even when we’re still, our muscles are working for us. When we lose muscle mass, it lowers our basal metabolism—the rate at which we burn calories while at rest, says Dr. Caroline Apovian, director of the nutrition and weight management program at the Boston Medical Center and vice president of The Obesity Society. “Restricting calories and relying on cardiovascular exercise alone are not enough. Steps must be taken to preserve and build up lean muscle mass, including working out with weights at least a couple of times per week, eating a diet rich in lean protein sources, and sleeping 7 to 9 hours per night,” Apovian said in an email. 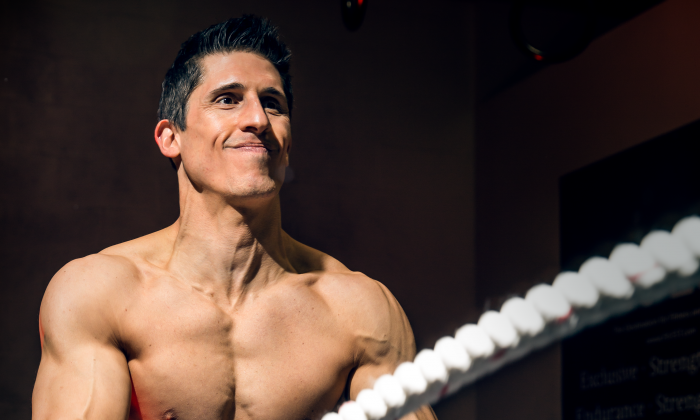 Muscle’s metabolic advantages are a big reason why physical therapist and personal trainer Jeff Cavaliere emphasizes weight training over cardio. Unlike a body that is merely thin, muscle gives us shape. However, much of this definition remains hidden when covered in a thick layer of fat. Fat loss comes from dietary changes, and the most effective eating plan to lose fat and preserve muscle is one focused primarily on protein and non-starchy vegetables. The weight loss process can be slow and requires some discipline. But if you’re working to build muscle while losing fat, it allows for a lot more leeway. “By virtue of having more muscle, you’re going to be able to eat more. … You’ll have to support the muscle tissue that you have, and that in the long term is going to have a much bigger benefit for keeping you lean,” said Cavaliere. In addition to getting adequate protein (which facilitates muscle fiber repair) and vegetables (for nutrients and fiber), Cavaliere also enjoys surprisingly large helpings of carbohydrates, like potatoes (which provide glycogen to fuel muscles). But that doesn’t mean you can just eat anything if you weight train. Cavalier was once a dedicated devotee of junk food—until he discovered what it cost him. “I noticed that when I made improvements in what I ate, I started to get more muscle. So it became a lot easier to say no and to find other things that I liked to eat, and realize that my hard work is much more important to me than the doughnut was,” he said. Cavaliere serves as a trainer for athletes, professional wrestlers, movie stars, and anyone else who tunes into his YouTube channel, Athlean-X. Despite the advantages of muscle building, Cavaliere sees many people who are afraid to start because they don’t want to look dumb at the gym. Instead, they choose the treadmill because the goal is clear. There are lots of tools and contraptions designed to challenge your muscles: weights, resistance bands, and various machines. But when people first start, Cavaliere recommends simple routines that require no equipment, such as the classic pushup or variations on a plank. Once you start to see results, you want to get more of it. It becomes a little addictive. This encourages you to stay on track. His philosophy for beginners is to start with something easy to do, that you can perform safely at home. That way, the risk of injury is minimal, but you can still build confidence. Committing to a simple routine for three or four weeks can result in noticeable differences. Muscle building isn’t just for gym junkies and Mr. Universe contestants. Seniors, for example, benefit from strength training because it makes for stronger bones and connective tissue, as well as muscles. It can be discouraging to learn that we lose the ability to maintain muscle as we grow older, but it’s never too late to introduce preventive measures. “When you do nothing, all these effects of aging are escalated,” Cavaliere said. When you do nothing, all these effects of aging are escalated. Of course, the earlier you can adopt a weight training habit, the better. Muscle building has always attracted young, fit-conscious males, and increasingly, females. But many young women still shy away from weight training because they’re afraid of bulking up. Cavaliere says this shouldn’t be a concern. “[Women] should embrace this because it is going to create the aesthetic changes that they’re after. It’s not just going to be that they lost weight, but they’ll get the shape, the curves, and the body that fits differently in clothes,” he said. Muscles require maintenance, but it may not take as much time as you think. Cavaliere’s chiseled physique requires a maximum of 45 minutes of training per day, five days a week. More modest goals may get away with much less. Whatever your muscle building goals, Cavaliere’s advice is to keep your routine challenging and consistent, and to be sure to train all the muscles of the body. He says the more that people can adopt a lifestyle and a progressive plan for changing their body, the better off they’ll be.